Save $100 per couple on the August 18, 2019 departure of America's Treasures & Natural Wonders when booked by April 30, 2019. Use promo code ATNW100. Offer is valid for new bookings made by April 30, 2019 for the August 18, 2019 departure of America's Treasures & Natural Wonders. Offer has no cash value and is non-transferable. Offer is subject to availability and may be modified or withdrawn at any time. Additional terms and conditions may apply. Kick off your journey in Chicago or Los Angeles as Amtrak's Southwest Chief takes you on a scenic ride into the beauty of America's southwestern scenery. Once you arrive in Flagstaff, Arizona, you begin a trip northward that stops at six different national parks. 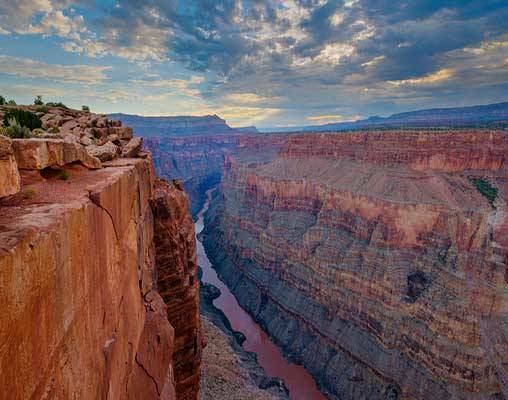 Start with one of the best views of the area with a visit to Grand Canyon where you will see this natural wonder from multiple vantage points. 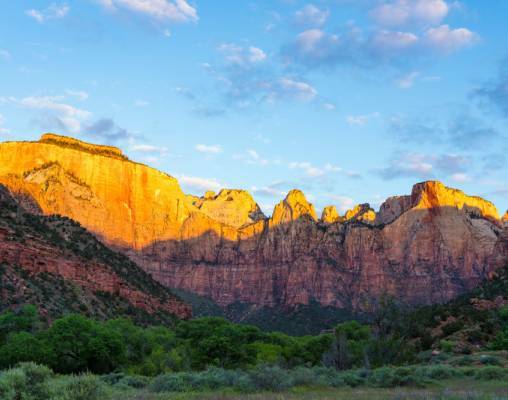 Then enjoy a tram ride through Zion National Park and view its beautiful gorges, idyllic waterfalls and the highest peak of West Temple. 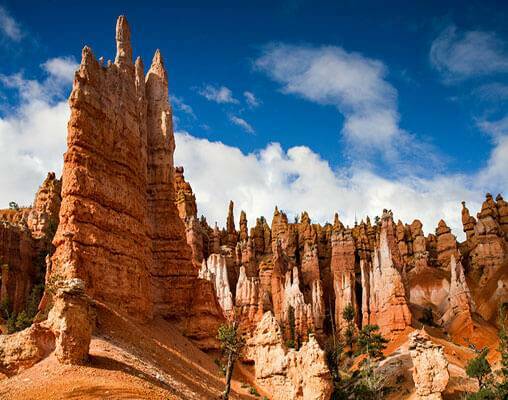 In Bryce Canyon National Park, a guided tour will highlight the colorful rocks that have been sculpted by erosion into pillars, known as hoodoos. 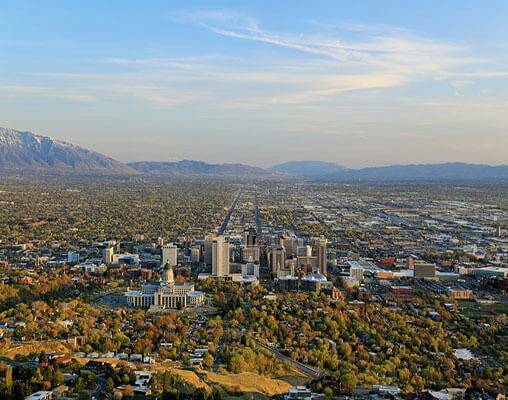 You can then explore the sights of Salt Lake City as you split the day between a guided tour and free time. 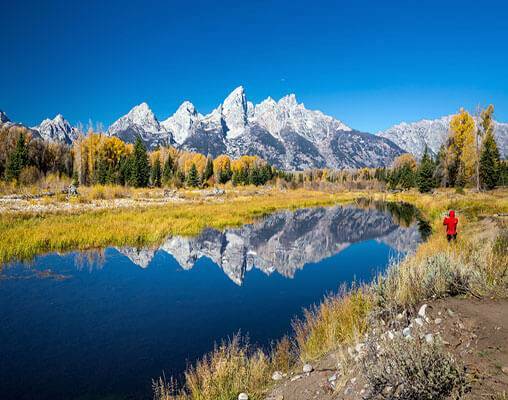 Next, an overnight stay in Jackson Hole, gateway to Grand Teton National Park and a quintessential cowboy town. 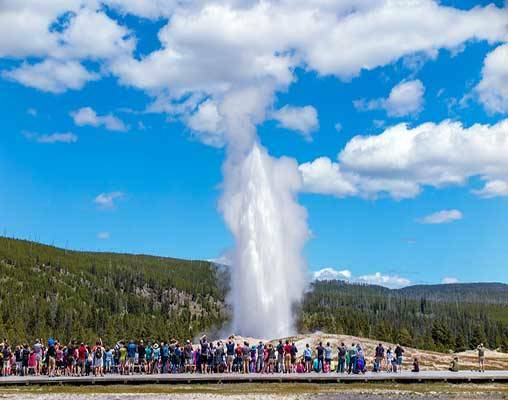 After viewing the Grand Teton National Range, you'll have two days to visit Yellowstone National Park, where you can awe at the sights of hot springs, Old Faithful geyser, and roaming wildlife. 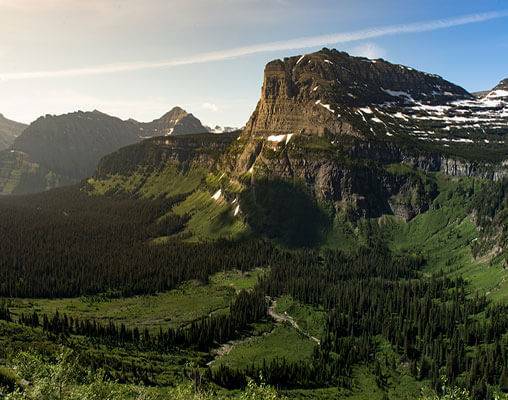 The final stop is a daylong tour of Glacier National Park, complete with a trek along Going-to-the-Sun Road, which crosses the Continental Divide. After days of touring, enjoy a relaxing train ride on the Empire Builder back to Chicago, as you bid farewell to the Rockies and welcome the northern prairies. Board the legendary Southwest Chief in Chicago or Los Angeles, settle into your onboard accommodations and prepare for your overnight rail journey. Overnight train. Spend the day admiring the sights from the train's glass-walled Sightseer Lounge and chatting with your fellow travelers about the adventure that awaits. Overnight Flagstaff, AZ. When you awake this morning, the Empire Builder will be departing Minneapolis, winding along the banks of the Mississippi River. You're scheduled to arrive in Chicago late this afternoon where your discovery of the West's natural wonders comes to an end. Hotels include the DoubleTree by Hilton (Flagstaff); Wahweap Lodge (Page); Best Western Plus Bryce Canyon Grand Hotel (Bryce Canyon); DoubleTree by Hilton (Salt Lake City), The Lodge at Jackson Hole (Jackson); Gray Wolf Inn & Suites (West Yellowstone); and Grouse Mountain Lodge (White Fish). Amtrak accommodations are available in Coach class, Roomette, and Bedroom. Coach accommodations include a reclining seat with leg rest. Roomette accommodations include a private cabin featuring two comfortable seats beside a picture window during the day, converting to an upper and lower berth at night. Bedroom accommodations feature a sofa and chair by day and upper and lower berth by night. Bedroom accommodations also include a sink and self-enclosed toilet and shower. All travelers have access to the Sightseer Lounge. Roomette and Bedroom accommodations include all meals aboard the train..
+Prices below reflect travel from Chicago. Roundtrip travel from West Coast destinations is available. Click here to view testimonials for America’s Treasures & Natural Wonders. This was our first sleep over trip. The overall trip exceeded my expectation. I will definitely tell friends and relatives it was a great experience. Great trip - educational. Trip was just a lot of fun. It was more than I expected. The parks were unbelievable. Had a very good trip. It was a good experience. Enter your details below if you would like to be notified when 2020 dates and prices are available for America’s Treasures & Natural Wonders. Prices are land-only based on double occupancy. Prices are correct at the time of this web page being published; yet, are subject to confirmation at time of booking. Pre and Post night hotel stays are recommended in Chicago.